Is your business down lately? Are you planning to expand your business to new markets? You can double your customer base by expanding your business to new horizons; i.e. get your business online. E-commerce is the future of retail and even wholesale, it is growing exponentially and according to Statista, a whopping 246.5 percent increase in e-commerce sales is predicted; to grow from 1.86 trillion US dollars that were accumulated in 2016 to a mounting 4.48 trillion US dollars in 2021. These are some serious numbers, it seems to be the perfect time to jump on the bandwagon and take your business online to millions of potential customers. You must be thinking where should I start from? Well, we are here to answer that question and help you get started. You can also read these aspects to consider while starting a business. If you’re doing business from an accustomed street side brick and mortar store then, it is time to accept plastic money. It is possible, that many of you already know this process but for those who don’t, here’s how it works. You can accept Credit and Debit Cards by opening a merchant account. A merchant account is a type of bank account that lets you accept payments in multiple ways. These multiple ways include; Credit cards, Debit Cards, ACH payments, and in some cases Discount cards, Gift cards, and loyalty cards as well. 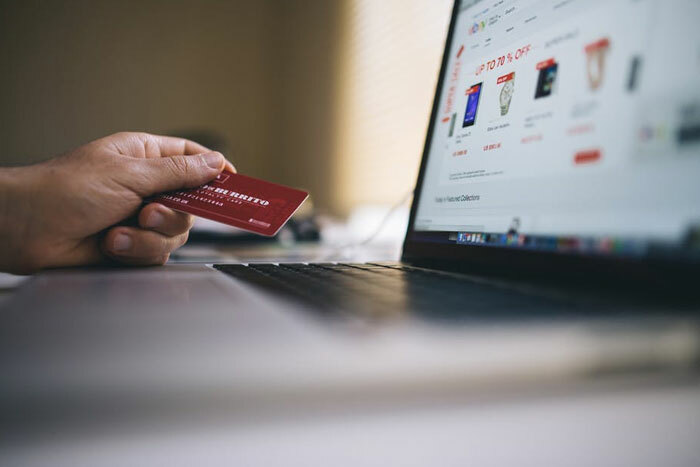 To learn more about merchant accounts and how to open yours, you can check out Merchant Account Solutions. Technology is embedded into our lives and people can’t get enough of it. Everyone wants the latest gadgets and follow the latest trends. This means your customers also want to shop at places which can keep up with them. A great idea for you is to add a Clover point of sale to your business; it is an extremely compact and efficient way to manage your business and best of all it is chic too, so you don’t have to worry about an ugly computer at the reception that doesn’t fit in well with your aesthetically beautiful interiors. A Clover station can accept payments from Debit/Credit cards, Personal Checks, Contactless NFC, Android Pay and Apple Pay. If you have or plan to have a website then, a great way to attract customers is to offer them the products at their doorstep. People are too busy these days to take time and wander into shops to get what they want. To do this you should get a Payment Gateway which can process the payment online and save time. Another great idea would be to add a virtual shopping cart. A virtual shopping cart is a great convenience for customers as they can add multiple items to choose and purchase later. In e-commerce, the competition is ferocious. You must watch out for your opponent’s strengths and weaknesses; you can conduct a competitive landscape analysis for this. Always give better than your rivals. You can learn here about how to make your business more competitive.